Bax Doors can supply and install gates for your vehicle or pedestrian access whether it is out the front or round the side. Gates provide security and privacy and are a great solution to keep the kids or pets safe from the street. 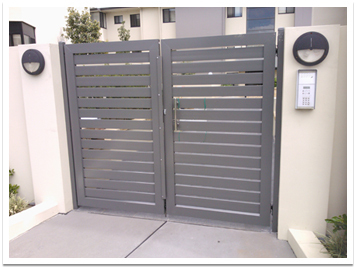 Aluminium or steel powder coated (to a wide range of colours) gates are attractive looking and low maintenance. Timber can also give you that look you’re after.